INDIANAPOLIS, Ind. --After extensive study and observation, Dr. V. Q. Hortfreud recently determined that those who have house plants generally follow a predictable and repeatable pattern in caring for their house plants. She further observed that this pattern of care can be broken down into four phases. In the first phase, which Dr. Hortfreud labeled Acquire, the indoor gardener acquires the house plant with promises to care for it and give it a spot where it will get the best light in the house. She vows to make sure it has a pretty pot to live in and promises that she will water it whenever it is thirsty and fertilize it when it shows even the first hint of a yellow leaf. She admires this wonderful plant she has in her home and feels so happy to have it. In the second phase, which Dr. Hortfreud labeled Nurture, the indoor gardener does tend to follow through on her promises to the plant. She gives it a good spot where there is plenty of light, waters it when it is dry and feeds it at the first sign of a yellow leaf. She dusts off the leaves and mists the plant with distilled water while tenderly whispering to it sentiments such as, “Grow, little plant. Flower if you will. I love you”. In the third phase, which Dr. Hortfreud labeled Neglect, the indoor gardener begins to fall short in her promises to take care of the plant. She lets it go just a little longer between waterings and abandons the idea of fertilizer. She pulls off the yellow leaves and wonders why the plant isn’t doing well, if she notices it at all. She may even move it away from its spot in the best light because it just doesn’t look very good. This phase often occurs in early to mid spring when the outdoor gardening season is beginning. It can also occur just because the indoor gardener gets busy or gets lost in various rabbit holes. At this point, Dr. Hortfreud observed that the cycle of Nurture, Neglect and Rescue can be repeated several times until at some point, the rescue is too late. 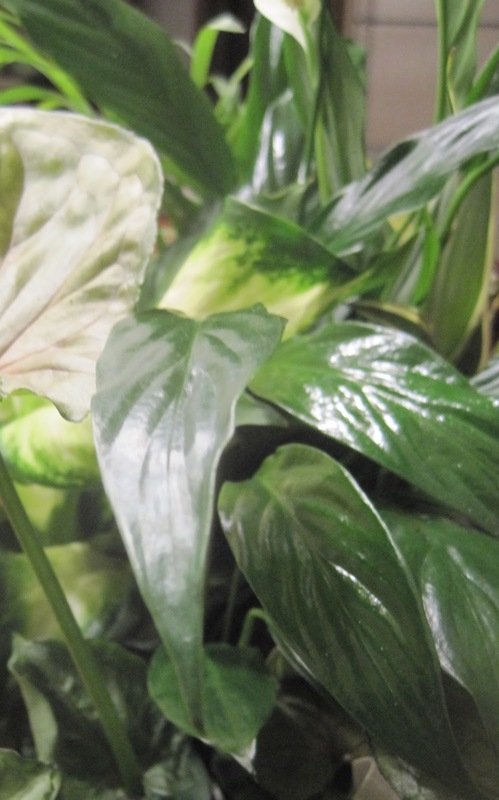 Then the indoor gardener will summarily dispose of the plant and start the entire cycle again with Acquire as soon as she sees a pretty indoor plant that would look just perfect in the window where the other plant once grew. When asked if there was any way to avoid the Neglect and Rescue phases, Dr. Hortfreud said, “It is my opinion that these phases are preventable through extensive therapy, education, and encouragement plus constant reminders, especially before there is the first sign of Neglect. I’ve been working with one particular gardener for years now. Though she has gotten better, she still occasionally lapses into this rather predictable cycle, most often in the spring when she is drawn to the outdoors. But I remain hopeful that she can be cured once and for all, and I continue to encourage her to acquire more house plants”. Dr. Hortfreud named this predictable cycle of house plant care the Acnunere Cycle, pronounced “Ack nu ne ree”. She wanted to name it after the gardener she studied the most to learn of this cycle but after seeking counsel from her publicist, Publicus McGarden, that gardener declined with the following statement, "Though I am honored to be a patient of Dr. Hortfreud's and have the greatest respect for all that she has done for the horticultural community, I do not feel that having something that involves plant neglect named after me will enhance my reputation as a gardener". When asked why gardeners go through these phases so predictably Dr. Hortfreud said, "I do think some gardeners are addicted to the Rescue phase. Bringing a plant back from near compost makes them feel like they are better gardeners with greener thumbs. Some gardeners are so addicted to this phase that they will actually seek out plants in the Neglect phase from other gardeners, just so they can rescue them". She also noted that this same cycle can be observed in the care of outdoor container plantings, though the cycle is often cut short by the first freeze of fall. If the good Dr was charging she would make a fortune trying to keep this gardener out of the Neglect phase. What a slippery slope house plants can be on. Ah, Publicus, it is good to know ye! Dr. Hortfreud is brilliant. She really knows her gardeners. nature, but when I retired, people assumed,indoor/outdoor, same beast. So now i have an actual shelf rack of assorted indoor plants to kill. I have never understood this about myself, how I can grow such a nice outdoor garden year after year but cannot keep houseplants alive. Glad to know its somewhat universal. You forgot the stage in which, after many, many years, the gardener realizes s/he has too many houseplants, and gets rid of any that don't look good with the care s/he is prepared to give them. I took me about thirty years to hit that stage, but I did it last year. I threw out two thirds of my orchids, and other misc. plants. Haha, I LOVED this post that could have been describing me, to a tee! Why do I get it so wrong indoors and outdoors its like a jungle? Um...I generally skip phase 2 and go straight to 3 (without vowing to take care of it). My phase 4 consists of putting the plants outside for the summer. So do my plants actually qualify as "houseplants"? I'm primarily an indoor gardener, and even without an outdoor garden, I still move through the same cycles. Deeply in the "neglect" phase right now... Water? What do you mean, you need water? Stop dropping those leaves, I have a novel to write! Dear lord that's amazing and so true. During the neglect phase I sometimes even feel I'm doing it on purpose. "Why aren't you flowering? You're so stubborn and ugly. Die so I can get something better." Then I feel bad and do my best to rescue them. I was doing well in the Nurture phase when I put two Spathiphyllums out on the driveway in front of my car to give them a good watering, forgot them while they drained, was late to church, rushed out and ran over them. One hardly noticed; the other is recovering albeit slowly.